After bringing you the surreal artwork of Tom Bacher to thr Maldives earlier this year, before introducing the fitness approach of ‘yoga rebel’ Tara Stiles to its guests, W Maldives has now combined the two with glow in the dark yoga. 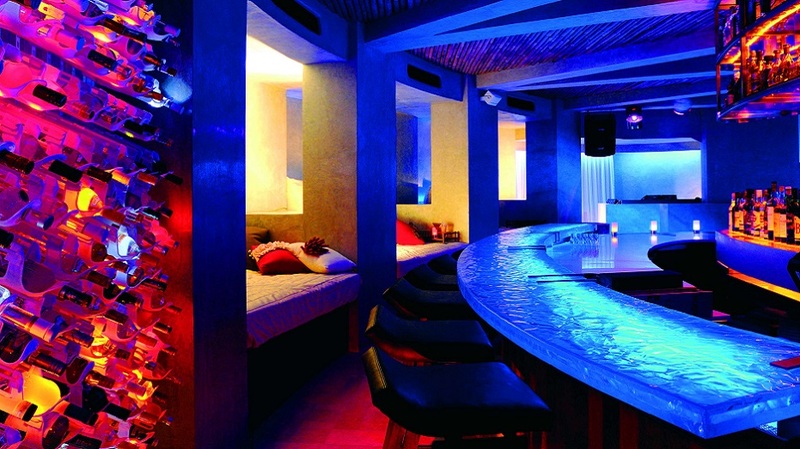 For the guest who has done it all – from fireside barbecues to overwater dining – they can now enjoy luminous lunges and day-glo downward dogs in W’s unique underground bar and nightclub, Fifteen Below. The resort’s in-house yoga experts will take glowing guests of all skill levels through their paces every Thursday in this eye-catching approach to fitness and well-being. Using the luminous paint to direct focus onto the body’s shape during the session, guests will relish this unique approach to yoga, building a core strength and flexibility that will bring a healthy glow to their days long after they have ascended the 15 steps back up to the sunshine of North Ari atoll. W Maldives has 78 beachside and water villas as well as four overwater treatment villas where guests can enjoy a range of treatments in the private outdoor areas. This new activity continues the resort’s reputation for innovation, which has included an exclusive swimwear collection and a resident DJ, whose tracks can be accessed via W’s own mobile app.